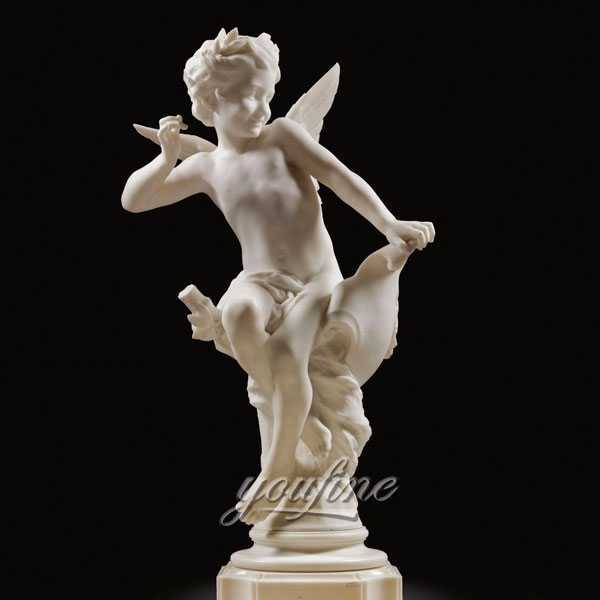 For the little angel sculpture, we often make the size of 60cm high and 80cm high. Our size is relatively free, because we are a factory that supports customization. As long as the customer likes it, we can basically do the same effect according to one picture. Even if the customer brings their own design, or wants to add something new, it doesn’t matter, we will try our best to meet the needs of our customers. 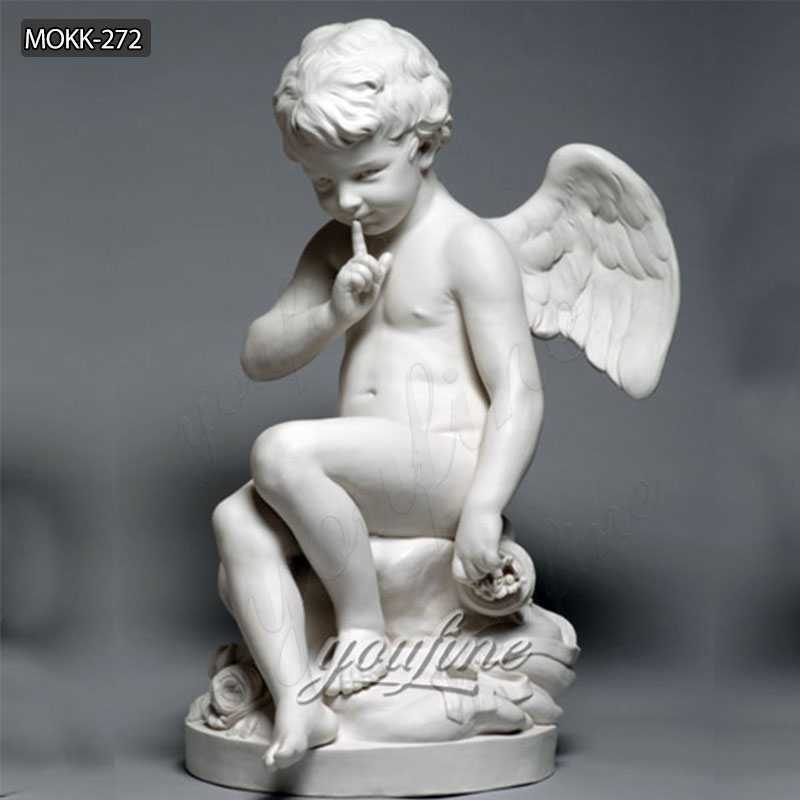 Regarding the marble angel sculpture, this has always been a popular character sculpture. This sculpture is very cute. 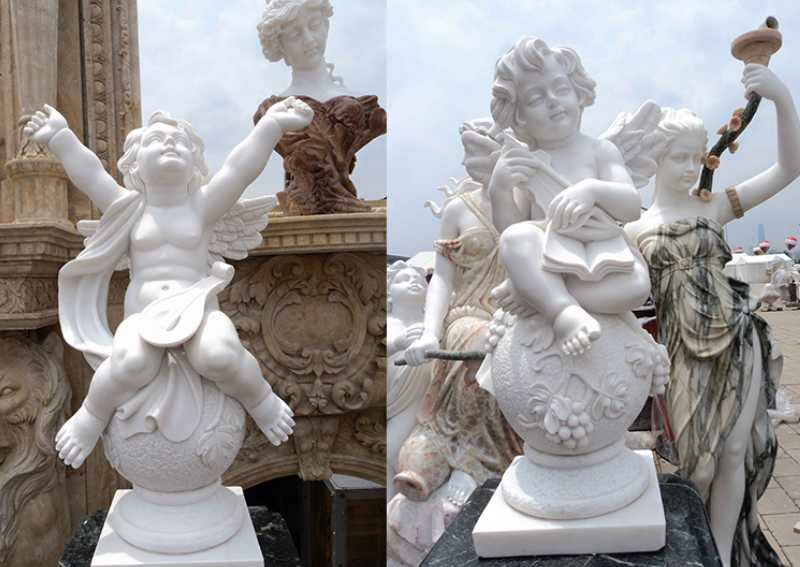 In general, we will choose the best Sichuan white marble or Hunan white marble. The effect is very smooth, very delicate, looks very shiny, smooth like jade, and looks particularly comfortable. 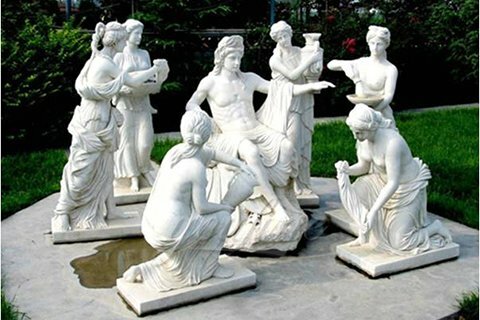 The marble angel sculpture can also be divided into many kinds. We have a versatile blowing and singing villain, as well as a cute angel sleeping in the wings. It looks like a baby in a newborn baby, sitting on the leg. The two hands open to look at the sky, and the care of the calf, all kinds of postures, especially cute. 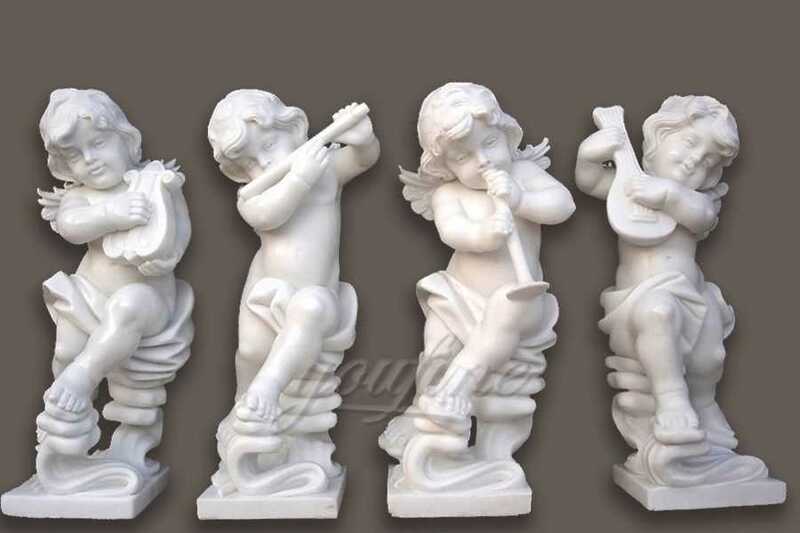 Sometimes, these little angel sculptures look no different from the newborn children. At this age, children are carefree and innocent. They don’t have so much worry, and they don’t participate in the world after they grow up, so their eyes are always full of hope, shining the kind of sincerity and purity we don’t have. 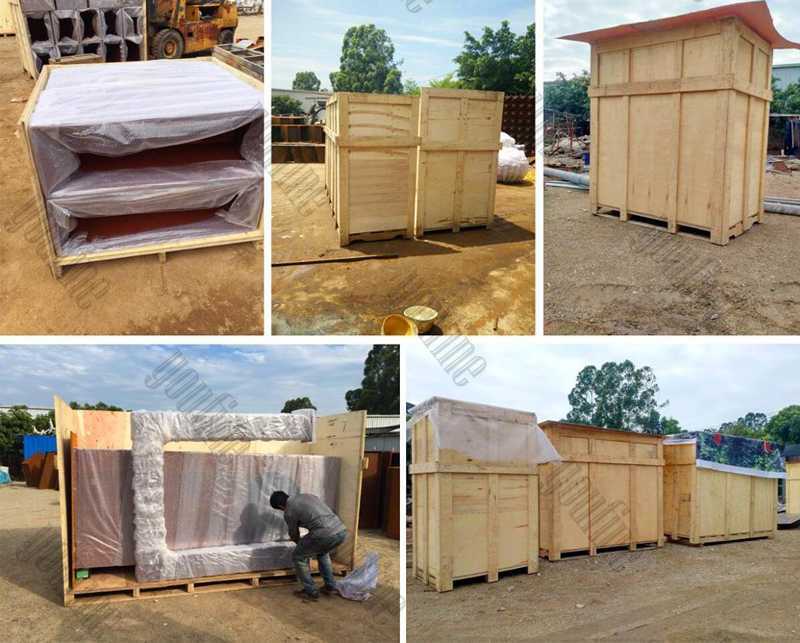 This is our packaging, you can check it out, this is a very solid wooden crates, so don’t worry about transportation. Our factory has a wealth of experience in character engraving. We have our own operations and design teams, as well as a dedicated sales team. Over the past few years, our team has grown step by step, and our experience has been enriched step by step. For our sculptors, each sculptor has at least 20 years of sculpting experience, so we can carve the expressions of each character into the realm of expressiveness. 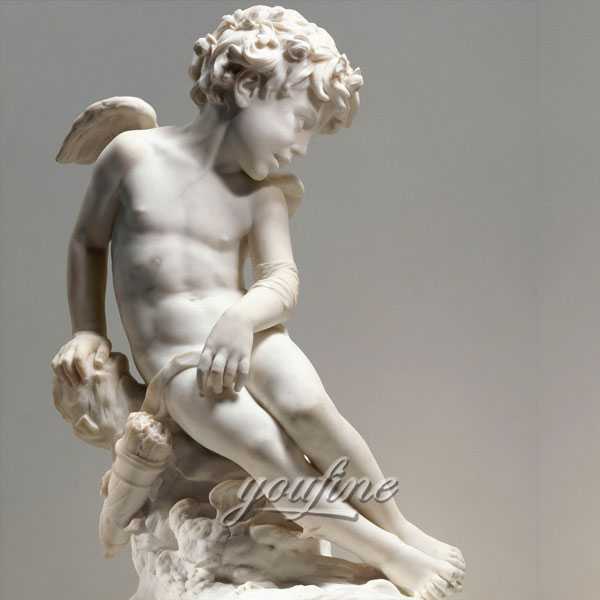 So, if you are interested in our little angel sculpture, please feel free to contact us, whether it is online chat, email, or whatsapp, we are always welcome!